Rats exposed to an uncontrollable stressor demonstrate a constellation of behaviors such as exaggerated freezing and deficits in shuttle box escape learning. These behaviors in rats have been called learned helplessness and have been argued to model human stress-related mood disorders. Learned helplessness is thought to be caused by hyperactivation of serotonin (5-HT) neurons in the dorsal raphe nucleus (DRN) and a subsequent exaggerated release of 5-HT in DRN projection sites. Blocking 5-HT2C receptors in the face of an increase in serotonin can alleviate anxiety behaviors in some animal models. However, specific 5-HT receptor subtypes involved in learned helplessness remain unknown. The current experiments tested the hypothesis that 5-HT2C receptor activation is necessary and sufficient for the expression of learned helplessness. The selective 5-HT2C receptor antagonist SB 242084 (1.0 mg/kg) administered i.p. to adult male Fischer 344 rats prior to shuttle box behavioral testing, but not before stress, blocked stress-induced deficits in escape learning but had no effect on the exaggerated shock-elicited freezing. 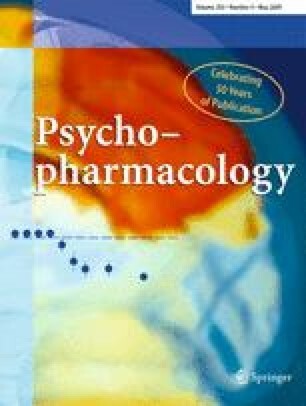 The selective 5-HT2C receptor agonist CP-809101 was sufficient to produce learned helplessness-like behaviors in the absence of prior stress and these effects were blocked by pretreatment with SB 242084. Results implicate the 5-HT2C receptor subtype in mediating the shuttle box escape deficits produced by exposure to uncontrollable stress and suggest that different postsynaptic 5-HT receptor subtypes underlie the different learned helplessness behaviors.